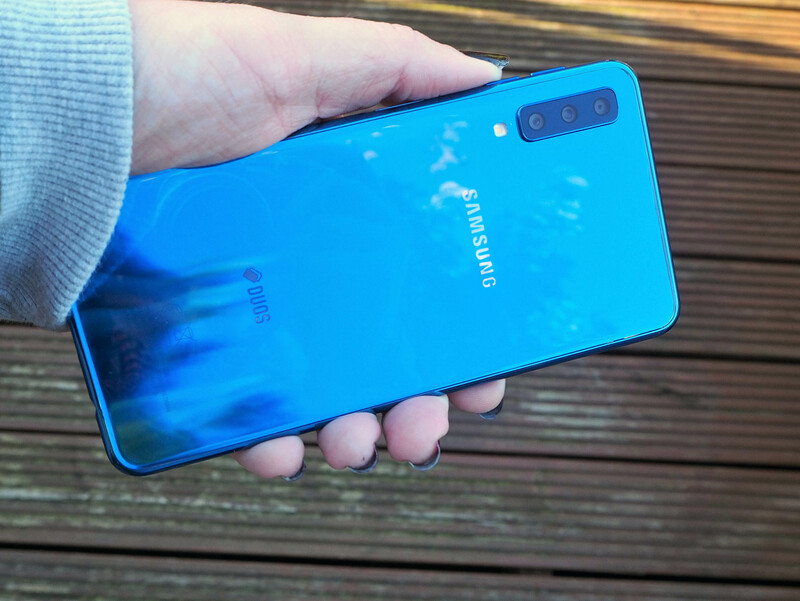 The Samsung Galaxy A7 is a stunning looking smartphone but the camera is a little bit of a let down as anything out of 'good light' just lacks punch. It's not that the photos are bad, it's just that they're not as great as the images captured by competitors at this price point. Battery life is good, though, and for around £300, it will be a smartphone some will consider. 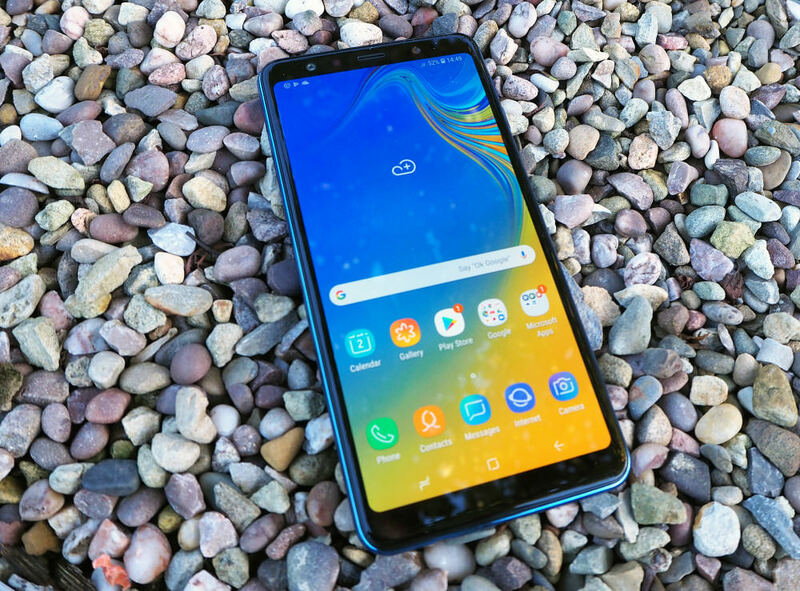 If you happen to be in a phone shop and you're walking around the displays, the Samsung Galaxy A7 will definitely grab your attention because of its eye-catching colour. Plus, glance at the price tag (64GB version starts at around £309) and you may find yourself nodding in approval before you've seen it has a lovely looking screen (6-inch, 1080x2220) and a pretty decent camera spec (24MP, f/1.7, PDAF + 8MP, f/2.4 (ultra-wide) + 5MP, f/2.2). So far, so good, but how does this budget-friendly smartphone perform out in the real world? Shall we find out? The Samsung Galaxy A7 is a very eye-catching smartphone with a modern design, impressive screen and a triple camera set-up. The primary camera is a 24-megapixel offering with f/1.7 aperture while the two remaining lenses are an ultra-wide 8-megapixel lens and a 5-megapixel depth sensor. There's also an impressive 6-inch Super AMOLED display, with 1080x2220 resolution and the Samsung Galaxy A7 can capture video at 2160p and 1080p (30fps). For those who like taking selfies, you have a 24MP, f/2.0 lens to pose in front of and there are plenty of creative camera options built in, including Live Focus. 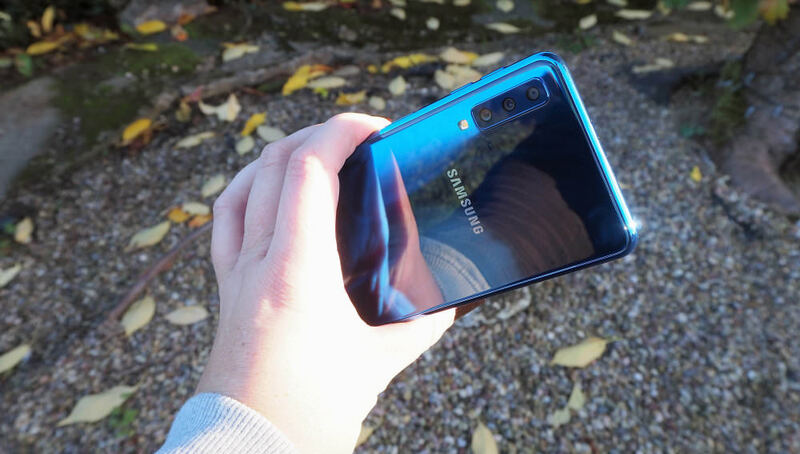 The Samsung Galaxy A7 is the first Samsung smartphone to feature a triple rear camera. Another key feature, and one that definitely stands, out is the Samsung Galaxy A7's design/colour. The blue version we have on test is stunning and when it catches the light really shines - lovely. We don't know if the other colours available are as eye-catching but the blue version is well-worth considering. 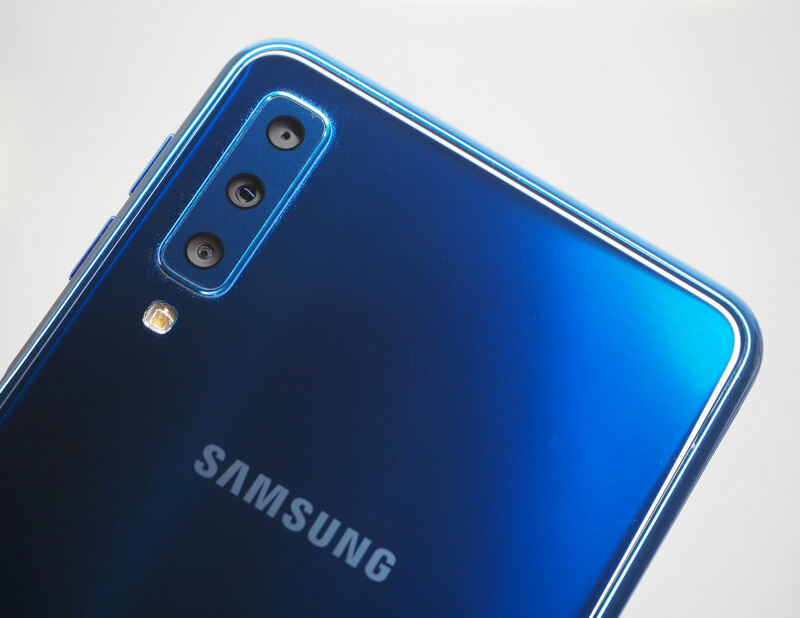 The Samsung Galaxy A7 is the first Samsung smartphone to feature a triple rear camera and the primary lens is a 24-megapixel offering with f/1.7 aperture while the two remaining lenses are an ultra-wide 8-megapixel f/2.4 lens and a 5-megapixel f/2.2 depth sensor. The ultra-wide lens is the option Huawei also went with in the Mate 20 Pro smartphone and it does have its advantages over a monochrome lens, mainly the versatility it offers. Due to multiple lenses featuring, you can also use Live Focus to create images with bokeh backgrounds (something which seems to be a bit of a 'must have feature' on smartphones now). The camera app isn't anything to shout about but it does the job and it has a cool 'full view' mode so the black you usually see is removed and options sit on a clear screen so you can see what you're capturing on the whole 6-inch display. Other modes include Beauty for the selfie-conscious, Panorama, Live Focus, Pro, Hyperlapse, Slow Motion and a Scene Optimiser which, as the name suggests, optimisers settings to help you capture a better photo. You can also play around with AR Emojis if you like that sort of thing. Away from the camera, the design does look a little boxy with its straight edges but we're really pulling hairs here as the overall look is excellent. 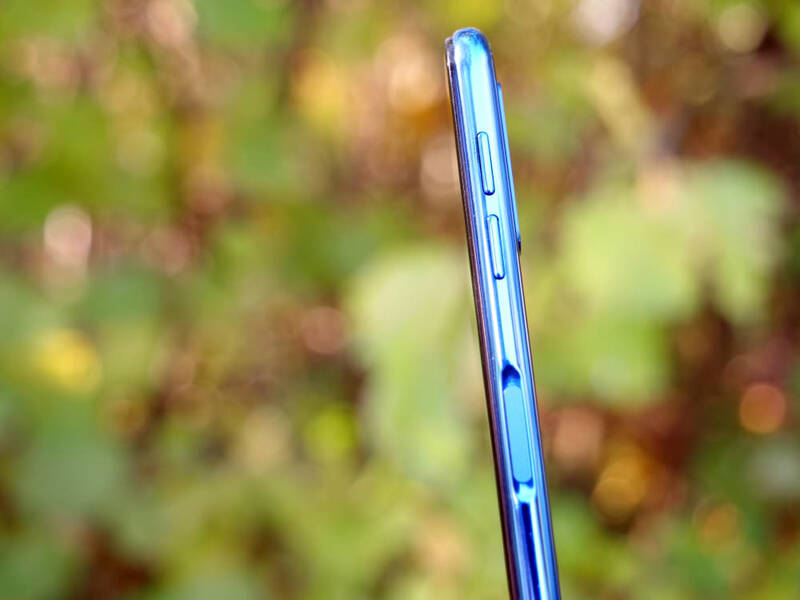 It's comfortable to hold, although its size might mean some might find it a bit tricky to operate one-handed, but it does show fingerprints really easily which is a shame as the blue colour really does deserve showing off but to protect it from marks, and drops, you are better-off popping a case on the Samsung Galaxy A7. You don't find a fingerprint sensor on the back as it's actually built into the unlock button and the cameras hardly take up any space so there's a lot of shiny, glass to admire. On the front, there's no top notch which means there is a black bar that stretches across the top and a similarly sized chin to the bottom. Bezels aren't the thinnest we've seen either but they're nowhere near huge and they surround a very reasonable 6-inch screen that's bright, sharp and replicates colours accurately. Viewing angles, even when titled, are also good. To the sides are the usual volume controls, SIM and MicroSD card slots and to the bottom is an audio jack (yay!) but not USB-C port (boo!). Instead, it's micro USB which is a bit annoying considering other smartphone creators are now making USB-C standard. Geekbench and AnTuTu scores are as follows: 121205 (AnTuTu) and 1526 (single-core), 4413 (multi-core) with Geekbench 4. 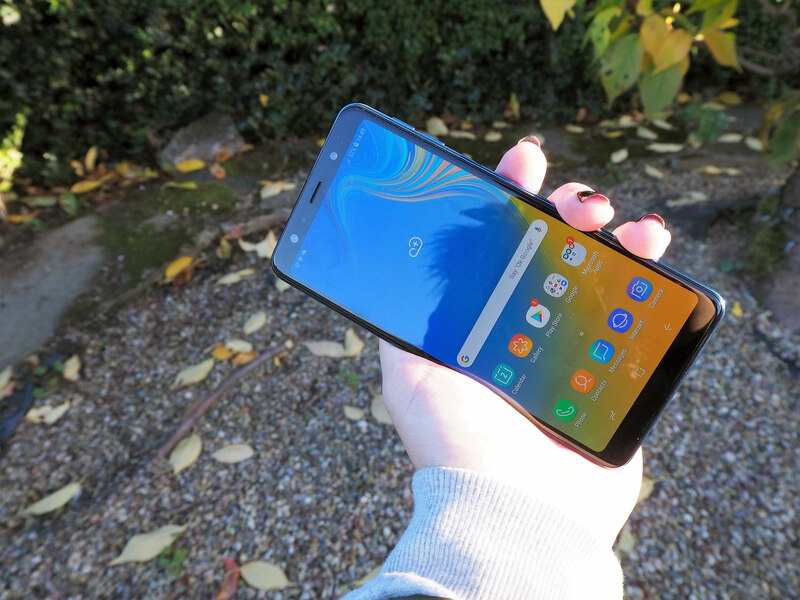 Battery life - The battery on the Samsung Galaxy A7 is a 3300mAh which with reasonable, everyday use, will last until you get back home to plug it in but you might have to wait a while for the battery to be full again as charging isn't the quickest we've seen.